Cantor’s Driving School offers driving lessons and driver training in all areas of Summerlin, Nevada. Over 50,000 drivers have learned to drive with Cantor’s Driving School. Are you our next safe driver in Summerlin? 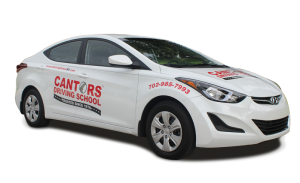 Cantor’s – The Driving School That Gets Results® in Summerlin. Over 50,000 drivers have learned to drive and successfully passed their driver’s license test using Cantor’s Driving School. Cantor’s Driving School uses only professional, experienced instructors. Cantor’s Driving School is a Nevada State certified driving school, a member of the Driving School Association of the Americas and the Safe Teen Driving Club. All Cantor’s instructors are Nevada State certified driving instructors. When taking driving lessons in Summerlin, Cantor’s Driving School provides driver training on main roads such as W Cheyenne Ave, W Charleston Blvd (159), W Craig Rd (573), W Lake Meade Blvd, W Sahara Ave and Rampart Blvd. For freeway driving lessons, Bruce Woodbury Beltway/NV 215, US 95 and Summerlin Parkway are the most popular main freeways. Driving lessons can be conducted on local roads in Summerlin and Summerlin South like W Alexander Rd, W Gowan Rd, N Cimarron Rd, N Buffalo Dr, Del Webb Blvd, Sun City Blvd, W Alexander Rd, W Gilmore Rd and Buckskin Ave. Teen drivers can be picked up at Cimarron-Memorial High School, Faith Lutheran High School, Palo Verde High School, Bonanza High School, Adelson or any of the public or private schools in the Summerlin area. Zip codes covered include: 89108, 89112, 89117, 89128, 89129, 89130, 89134, 89135, 89138, 89144, 89145, and 89149. Nevada has many DMV offices throughout the state and in the Summerlin area. More information about these locations and days/hours of operation is available from this Office Locations page on the Nevada DMV website. Cantor’s Driving School serves the Summerlin Nevada area. To get started with driving lessons, call us at 702-985-7993 or use our convenient contact form.